Manufacturers of SSDs have traditionally sold drives with a PCIe interface at a premium when compared to devices featuring a SATA interface because of higher performance and despite of the fact that most SATA SSDs use drive form-factor and are more expensive to make than M.2 modules. Later this year Kingston plans to launch its A2000-series SSDs featuring a PCIe 3.0 x4 interface that will be priced below SATA SSDs. 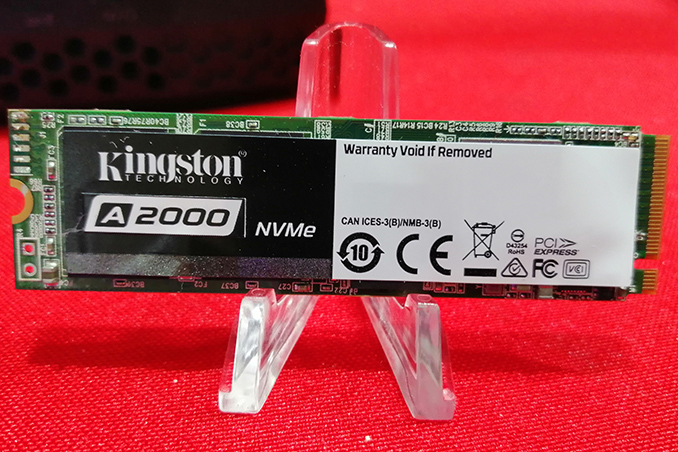 The Kingston A2000-series drives will be offered in various controller/NAND configurations in a bid to be flexible in terms of BOM costs and ensure that the SSDs are consistently cheaper than solutions featuring a SATA interface. In particular, Kingston plans to use Silicon Motion’s SM2263-series and Phison’s low-cost controllers along with Toshiba’s BiCS4 3D TLC NAND memory for these drives. Kingston’s A2000 SSDs will be offered in 240 GB, 480 GB, and 960 GB configurations, which is in line with other low-cost SSDs. As for performance, the manufacturer targets up to a 2000 MB/s sequential read speed as well as up to a 1500 MB/s sequential write speed. A prototype Kingston A2000 512 GB SSD that Kingston demonstrated at CES offered up to a 1986 MB/s sequential read speed as well as an up to a 1572 MB/s sequential write speed. Such performance levels are typical for SMI’s SM2263XT/SM2263 controllers, so these results are not too surprising. Meanwhile, we are looking forward to see official test results of another version of the A2000. Kingston says that performance of A2000 drives featuring different controllers will be consistent, so end-users will not have to wonder which SSD they are buying, but this claim will have to be verified by independent testing. 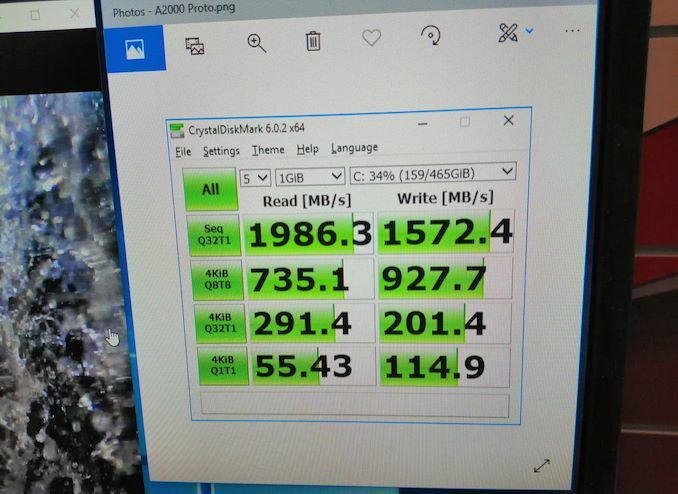 While Kingston demonstrated prototypes of its A2000 -series SSDs at CES, it is not clear when the company intends to ship the final drives. While we do know for sure that Kingston wants to make its A2000-series PCIe SSDs cheaper than SATA SSDs, it still remains to be seen what they will be priced at, especially with NAND prices continuing to fluctuate as the weeks go by. Moving forward it doesnt have to be more expensive. SSDs are a simple build of materials, they use the same NAND, once the controllers are able to be sold to them a the samecosts, they can basically cost the same. On top of that, using the system RAM for caching and lookup tables allows them to remove the DRAM in low end models, essentially being able to bring the costs below that of a SATA. Over time SATA will entirely become the legacy option with no new controllers or options, NVME controllers and parts will keep moving forward in every way bringing more performance per dollar. We will see what we are seeing with the whole SSD market though, which is a greater delta between the high and low end parts.